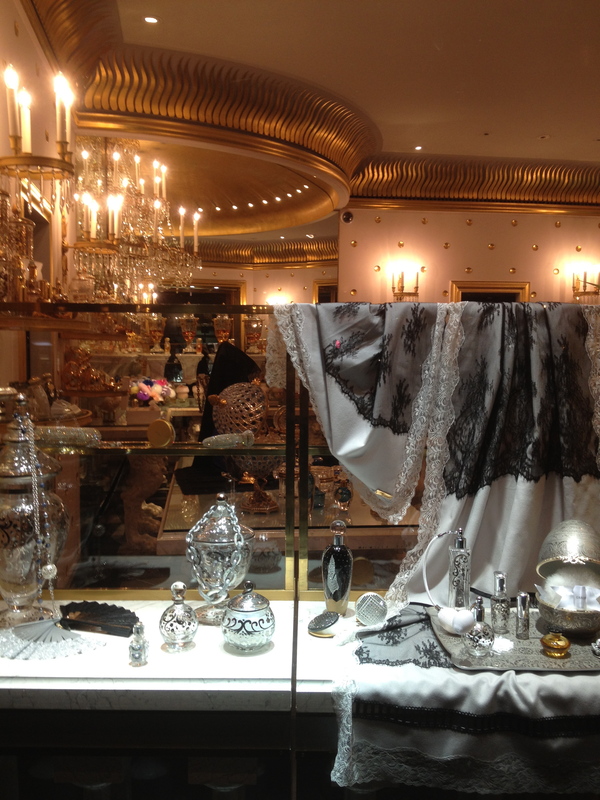 It seems like a long time since we strolled down Avenue Montaigne (= Paris’ Rodeo Drive) to see what treasures the windows were holding. Shall we? 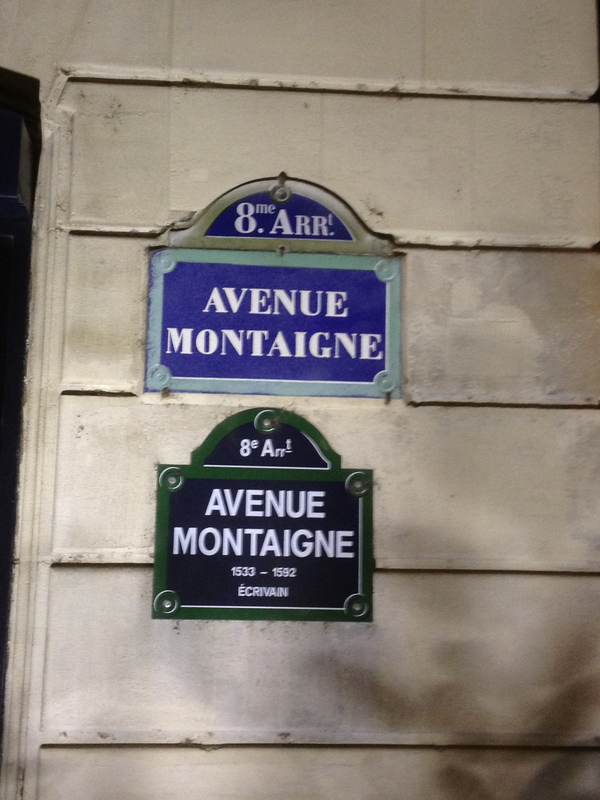 I wonder what Montaigne would think if he knew that a street synonymous with haute couture was named for him. Did he even like nice clothes? I took these photos on Halloween night. The air was brisk, the night sky was clear, and Mark was on his way home from London. I decided to go for a walk in search of Halloween revelers. No sign of Halloween was found, but I thoroughly enjoyed my nocturnal stroll. 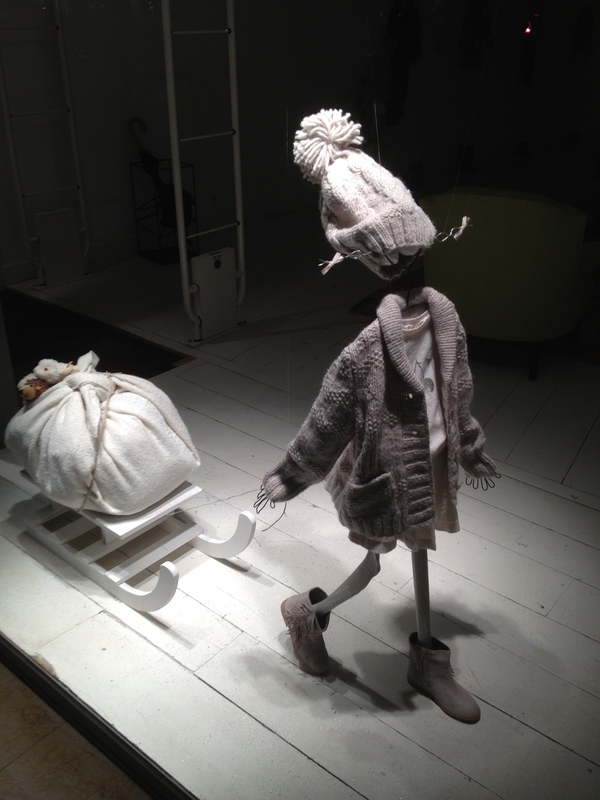 Bonpoint girl set the winter tone for the evening. 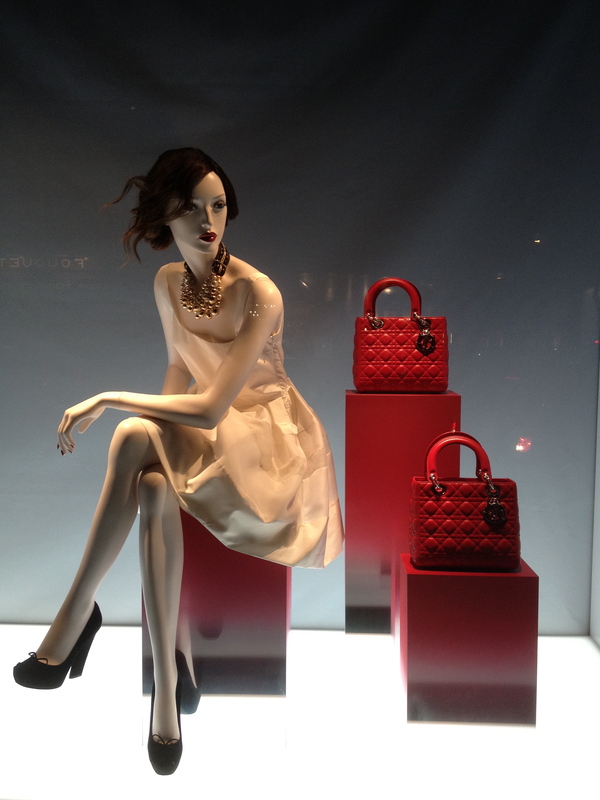 This window was full of gorgeous, bejeweled shoes. 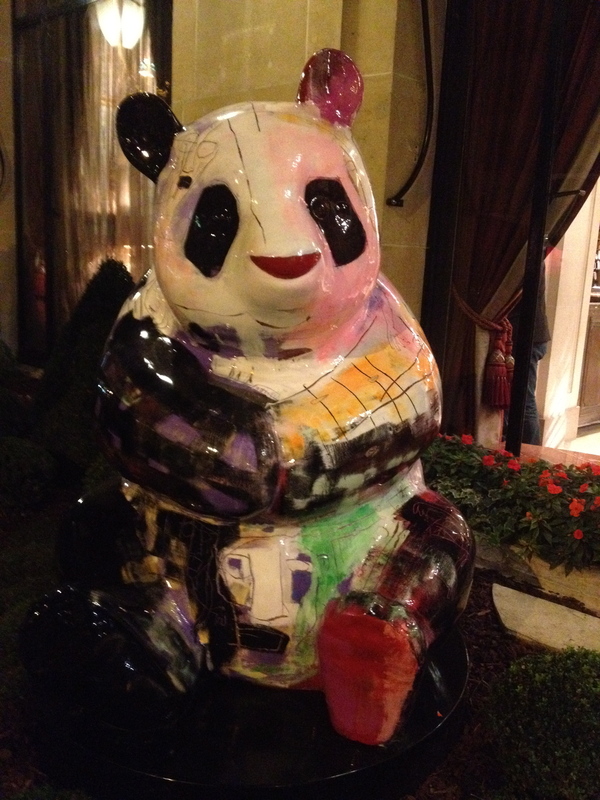 A pair of these pandas guard the doors to the Plaza Athenee Hotel. 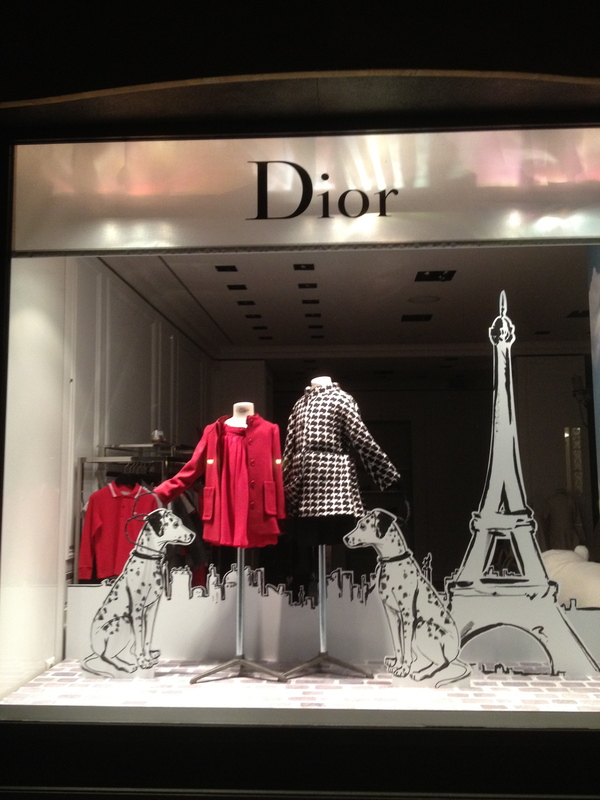 They are done by artist Julien Marinetti. 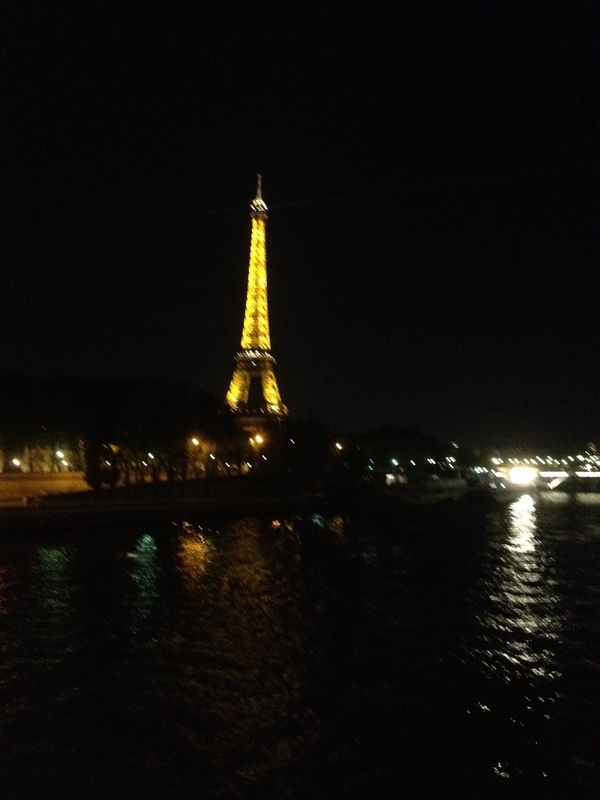 When I reached the river, I went out onto a bridge and took pictures from both directions. 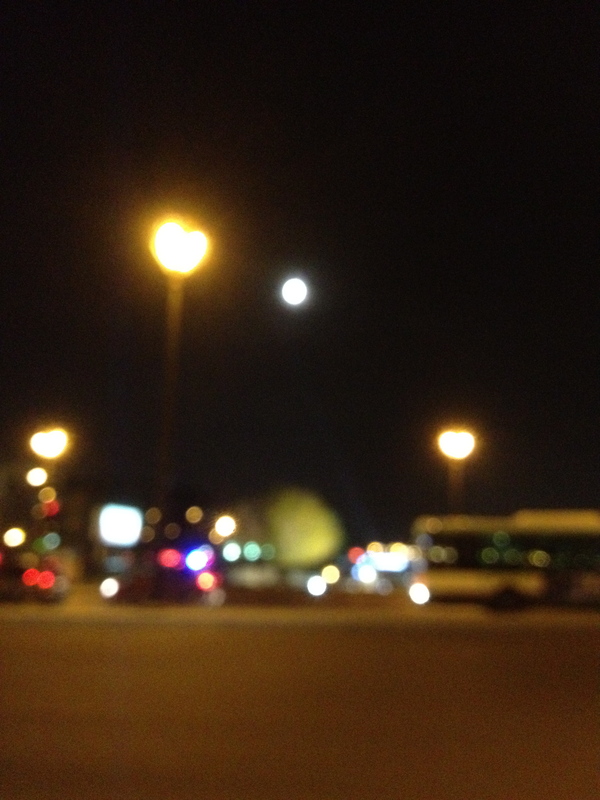 And this, which although blurry, shows the incredible full moon that was lighting my path. 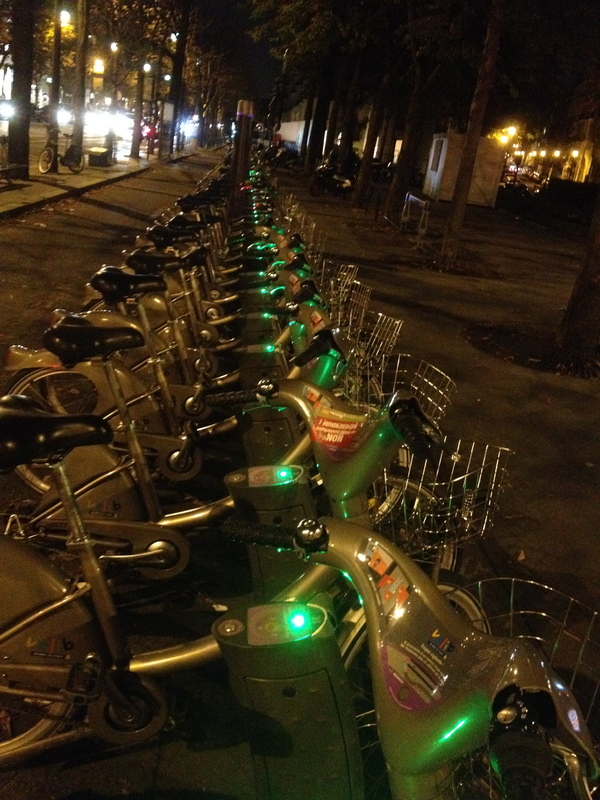 Heading back up the other side of Montaigne, I loved these Velibs (rental bikes) all lined up and glowing green. 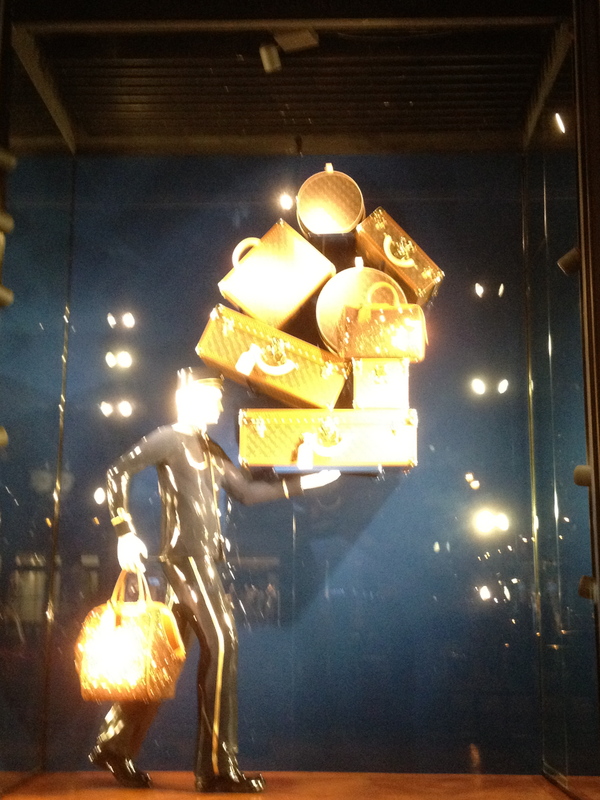 Louis Vuitton windows were looking fab. 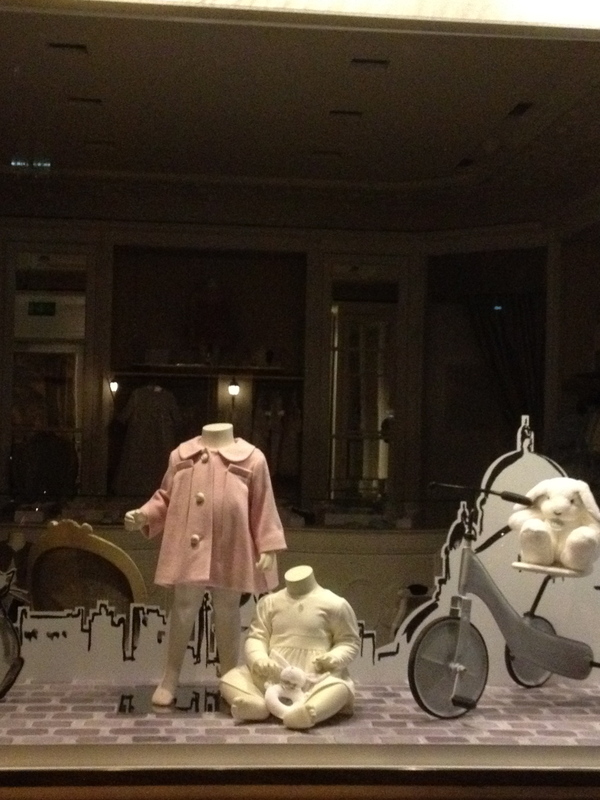 Dior for bebe and maman. 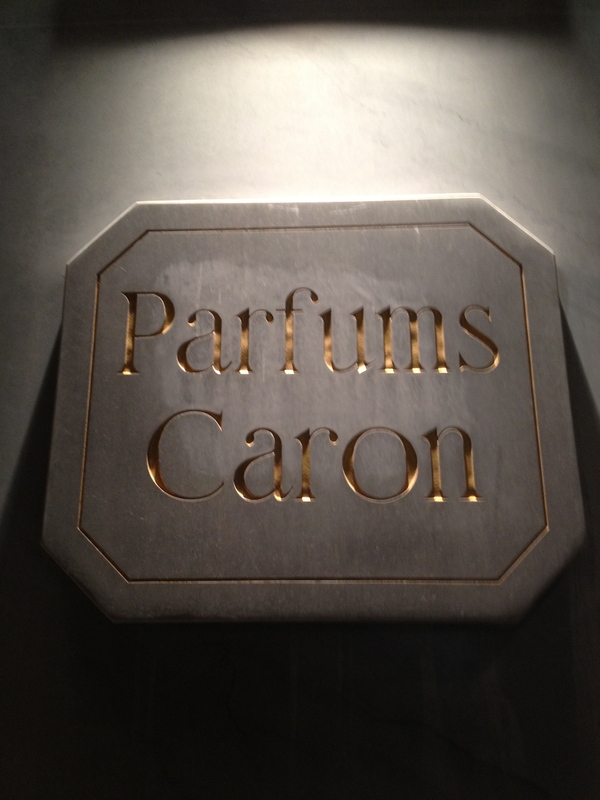 This store, Caron, is brimming with girly things like perfume and powder puffs and lots of gold stuff. 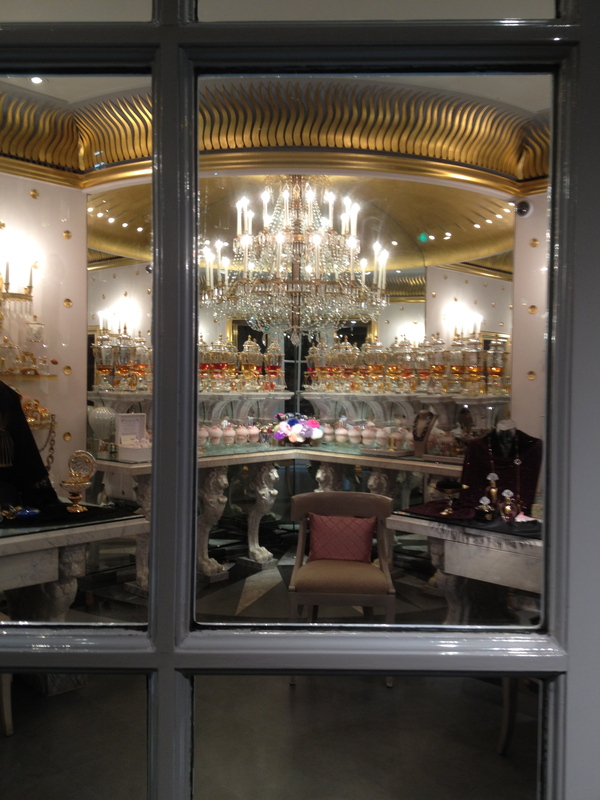 I am sure some people look forward to visiting this store each time they are in Paris, but just looking in the windows makes me feel like I am getting a rash. 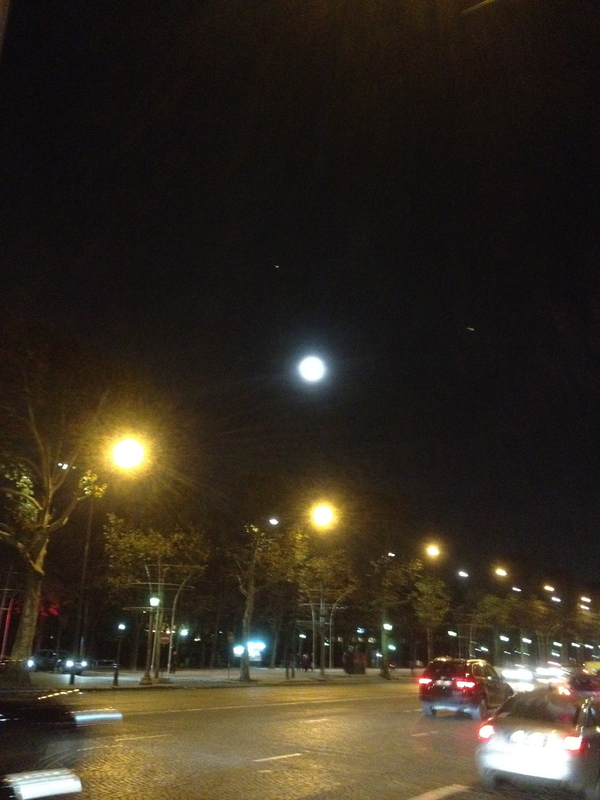 One last sighting of the moon over the Champs Elysees. The Christmas light hoops are back on the trees but not lit. I will have plenty of pics when they are lit, even though I still complain mightily about their lameness. Love it! 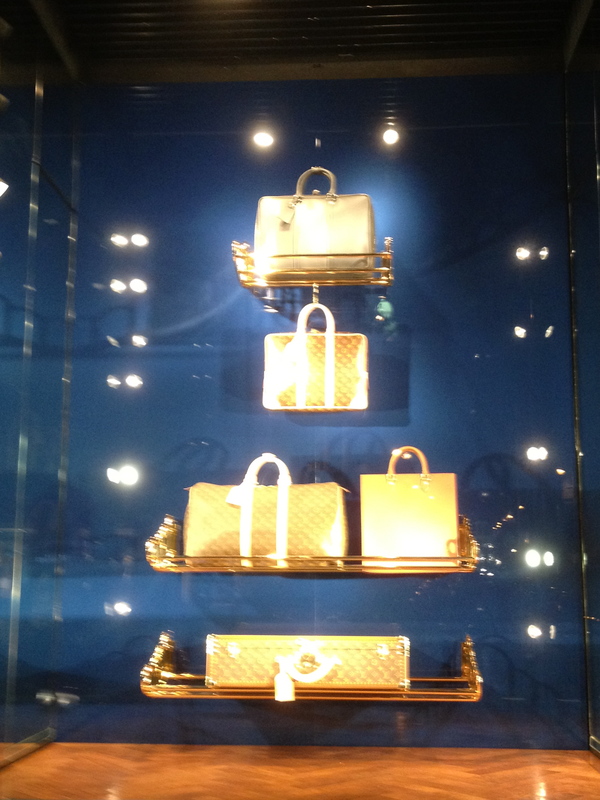 I will look at LV anytime! thanks! 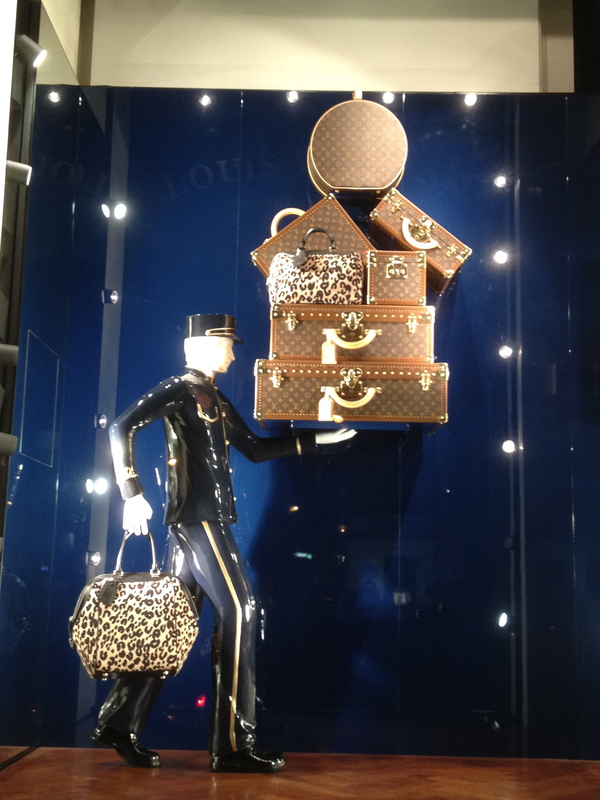 Look for more LV today, TC! Thoroughly enjoyed the stroll! Beautiful pictures, Kate. Thanks! So glad, Linda! And you’re welcome! Aren’t you going to miss all the walking you do when you get back here? 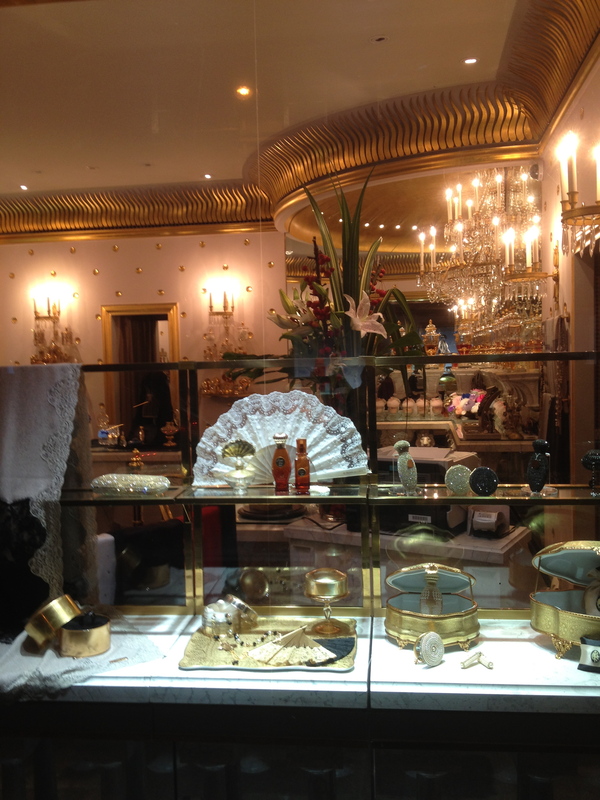 I think that is one of the things I am most jealous of your life au Paris. I’m game for a nighttime stroll on the bayou in January. Would have to take pics of trees in the moonlight instead of LV! Yes, of course I am, but it’s just not the same in Houston! A nocturnal stroll in the bayou sounds awesome. We can look for owls. I’m in! Those shoes. THOSE SHOES. Wowie. I know. Aren’t they gorgeous?